So, my brother has algebra this year, and he brought home his algebra book. When I first saw it I thought it was Vortex, but then I noticed there wasn't supports on both sides (which I found odd because I didn't think there was a full loop with just one side with a support). I turned the book over and the loop was on the back too, but with no supports. So it's possible that it is Vortex. What do you guys think? and if it isn't Vortex, which coaster do you think it is? It really does look like The Vortex, but they could have just photoshopped out the supports for the publisher's desired appearance of the covers. The train color makes me strongly think it's Demon at California's Great America. -This is what my brother's Pre-Algebra book looks like. I believe it's Hershey Park's Great Bear. There is likely a photo credit in the first couple pages which might identify the coaster. Definitely seems to resemble Demon more than Vortex. Vortex's orange stripe is more in the middle of the train, whereas Demon's orange-ish/red-ish(?) stripe is more towards the top of the train, similar to the train on the book cover shown above. ^ Good point about the stripe being towards the top of the train. I looked at BB1's picture again after reading the above post and I now think the mystery coaster is Demon. Also, Vortex doesn't have a giant globe floating in the middle of one of its loops. Actually, Great Bear's wheel covers are pink and black. See here. Based on the track and train color schemes, it would likely be Batman: The Ride at Six Flags over Georgia. My mistake. But really, what is it with Glencoe and roller coasters? Seems like it could be because of the audience. 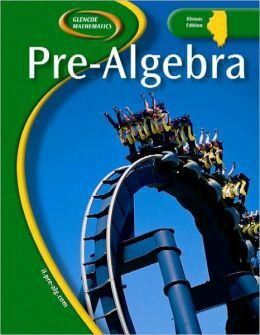 If you're going to put a picture of something math-related on the cover, roller coasters are a lot more appealing than graphs or functions. If I remember right, my high school math books had pictures of buildings on them. My college Statics/Dynamics textbook had a picture of the Falkirk Wheel. I'm so old my grad school books had NO pictures. Not even line drawings. Then again, The Wall Street Journal had no pictures either, The New York Times had no comics, our television was black and white, and our radios had two CONELRAD triangles each. Geez. How slow was the internet back then? Ha ha. There was an early experimental version. As a fifth grader, I used it at Morehead State College. Yes, that's what it was called. I remember one of my books having a picture of the old Coney Island Cyclones. I also remember one book having an invert on it, but couldn't recognize the color combo. Probably photoshopped in some way though. Photoshop is a registered trademark and should be capitalized, and, preferably, not used as a verb. photoshopped, is a slang term which refers to any sort of editing of a photo. It is also a violation of Adobe's registered trademark. See the TOS. Such terms are NOT acceptable here. To digitally edit or alter a picture or photograph. That absolutely does not matter. See the TOS. Anything Wikipedia isn't the law here. Please see the TOS. Edit- Terp beat me to it. Try Dictionary.com: http://dictionary.reference.com/browse/photoshop This says that it is "sometimes lowercase" as a verb, but the listing is still under the capitalized version. EDIT: The new version of Firefox can kiss my ***. Wait you went to what is now Morehead State University? As probably the most known and vocal questioner of the capitalization of trademarks on here, even I recognize the concern that Adobe would have with regards to Photoshop, it's probably close to being genericized a la aspirin, thermos, yo-yo, etc. and I doubt that they're fine with that. That must have been back when the Internet only had one w.
My father is a Morehead State alum. Go Eagles.